It’s hard to blame them, with confused and confusing coverage of renewable energy statistics popping up in their social media feeds and on news outlets they’ve come to trust. On top of that, most social media sharers never even read the articles they share. According to a recent study, 59 percent of links shared on Twitter have never been clicked, underscoring the outsize influence of misleading headlines, subheads and header photos. And research has shown that misleading and clickbait headlines have a lasting effect on how those who actually read articles interpret and remember their content. David thinks the over-hyping of wind and solar "reflects a real communications victory on the part of clean energy industries and climate advocates." Which may be true for the industries, but not so much for the cause of climate activists (assuming they want to end climate change instead of nuclear energy). We can, in part, thank misleading articles and clickbait headlines for the rise of emissions in Germany and Japan. You'd never know from reading any of this climate hawk's articles, but nuclear is still the single largest source of low carbon energy in Germany and is expected to be the largest single source (according to six recent independent studies) for the entire world in 2050. See Figure 1. Renewables tribalism, the over-hyping of wind and solar in lieu of an advocacy for a mix of wind, solar, and nuclear has measurably worsened greenhouse gas emissions. I love gizmos as much as the next guy, but when it comes to climate change, their impact will be more incremental than revolutionary. More gizmos won't get us there. We should be replacing existing coal plants with nuclear as well as building reasonable amounts of wind and solar to reduce natural gas fuel bills when the sun shines and the wind blows. Individual households and businesses are starting to face a whole new set of options for how they provide or consume electricity, everything from rooftop solar panels to electric vehicles to smart thermostats. Homeowners and commercial building owners have all sorts of new choices for how to generate, store, and manage their own electricity — solar panels, home batteries, electric vehicles, smart thermostats and appliances, and more gizmos coming along every day. I've been driving one for the last five years. One idea is that some day, people will accept a break on their electric bills to shorten the lives of their car batteries by allowing utilities to discharge them to the grid when needed to balance load fluctuations from things like clouds over solar panels and lulls in the wind. Not likely to ever be a major thing, although I can envision them being charged with nuclear at night when nobody is driving them and the gas plants have throttled down. If a battery manufacturer claims that they can provide energy storage for, say, $50/MWh, you have to understand that if the energy used to charge that battery cost $40/MWh, then the cost of electricity obtained from that battery is $90/MWh. And of course, the charger and inverters used to charge it will lose another 10-20 percent of its energy, raising the cost to about $100/MWh (far more expensive than nuclear). I once calculated that to go off grid using the Tesla Battery Wall would cost me well over a million dollars. The other use for home batteries is that you might save money by going to all the hell of paying for, installing, and maintaining some of these and their attendant inverters and home rewiring to charge at night when rates are lower and discharging them in the day when rates are higher, assuming you live someplace where utilities charge different and significant nighttime rates. Personally, I have more than enough appliances in my home already. Sometimes it's worth paying a little extra to simplify one's life just a tad (i.e., it's not worth it monetarily to install home batteries even if you think they may save you some modest amount over a long period). And then, there's that life cycle cost analysis thing always looming in the background. Not likely to catch on in quantities that matter and if I'm wrong, most certainly, these batteries could be charged at night during low demand by nuclear and discharged in the day to displace peaking gas plants, as is already done today with some nuclear power stations using pumped hydro storage instead of batteries. Even though levelized cost of energy studies all show residential solar PV is more expensive than nuclear, I've always been enamored with rooftop solar and if I lived someplace like southern California with its high electricity rates and bountiful sunshine, I might have a few of them on my roof, cost be damned. But I live in Seattle where the sun rarely shines for nine months out of the year and my solar would be replacing low carbon hydro, wind, and nuclear electricity instead of coal. Where I live (or in a cave for that matter), solar panels on a life cycle basis would have little impact or may even increase my carbon emissions. 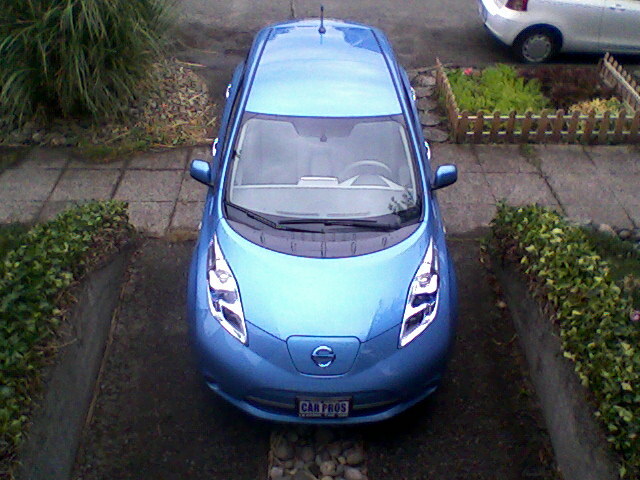 Without the huge subsidies they definitely wouldn't save me any money (same goes for my electric car). In an earlier article I discussed David's good verses evil world view. It sometimes manifests itself (see this article and this article) as pop-psychoanalysis of angry white guys and other conservative stereotypes who he blames for the lack of progress in fighting climate change. Ironically, David shares that blame thanks to his decade long participation in antinuclear rhetoric that has shut down the nuclear power in two of the world's largest economies (with an attendant surge in CO2 emissions). Not a Trump fan, but I would not be surprised to see fewer emissions under Trump's presidency than under a Bernie Sanders one if it somehow results in fewer nuclear power station closures ...just saying. Electric utilities increasingly find themselves at war with their own customers. The more they take advantage of these new “distributed energy resources,” they less power they buy from their utility. Turns out utilities don’t like that! My sense is that most US utilities are fighting rearguard battles against DERs. How much of that is real hostility versus just not knowing what else to do?! Right ...at war with their customers, fighting rearguard battles. Translation: utilities want to end the net metering subsidies in the name of fiscal solvency. They don't care if a customer finds a way to use less electricity from the grid. They need to be reimbursed for maintaining the grid used by solar panel owners to distribute their electricity and for any other costs incurred to the grid as a result of those solar panels. One way to reimburse the utility is to remove the solar net metering subsidy entirely, an idea that is understandably very unpopular with solar owners, manufacturers, and installers. In theory, a homeowner with solar is a tiny power station competing with the big girls and boys. In theory, they would be paid what their power is worth in a wholesale market, which varies over the course of a day. If a grid has a lot of solar panels, the value can plunge to below zero (become worthless) when there's a glut of solar and little demand. It can become very valuable in times of high demand. However, it's one of those unproven hypothesis that rooftop solar owners can compete in the market without subsidy. A second way to reimburse the utility is to increase the grid use fee on electric bills of solar owners, also not very popular. A third way is to shift the burden of paying the net metering subsidy from the utilities to fellow taxpayers. A fourth way, which is the gist of the researchers interviewed in this article, is to somehow create incentives as well as provide the tools needed to get solar panel owners to use energy when the sun is shining brightly so that less of it gets loose on the grid to cause further grid costs. And finally, they can simply petition for rate hikes on everybody. The problem with net-metering isn’t necessarily the “net” part, it’s the fact that it’s netting out flat volumetric rates that don’t accurately reflect the value of electricity production or the cost of consumption. There’s basically no incentive to have flexible AC loads or install a storage device when you are charged the same exact price every hour of the day and every day of the year. The second challenge is that [net metering] doesn’t help us understand the best place to put solar, and at what scale. Flat volumetric rates don’t convey either of those things. For example, in California, or Germany, where there’s a lot of solar already deployed, the value of production from solar panels in the middle of the day is getting quite low, lower every year. But it’s still pretty high in the afternoon at 3 or 4 or 5 pm. Although David took great pain to define terms used in his article, all he provided for the acronym DER was what the letters stand for (distributed energy resource). David often uses terms that have no consistent definition (like clean energy) so this is typical of his articles and explains why so many make so little sense if you take the time to actually read them. His readers have to make assumptions as to what he means by clean energy or a DER for that matter. I suspect the ambiguity is intentional. 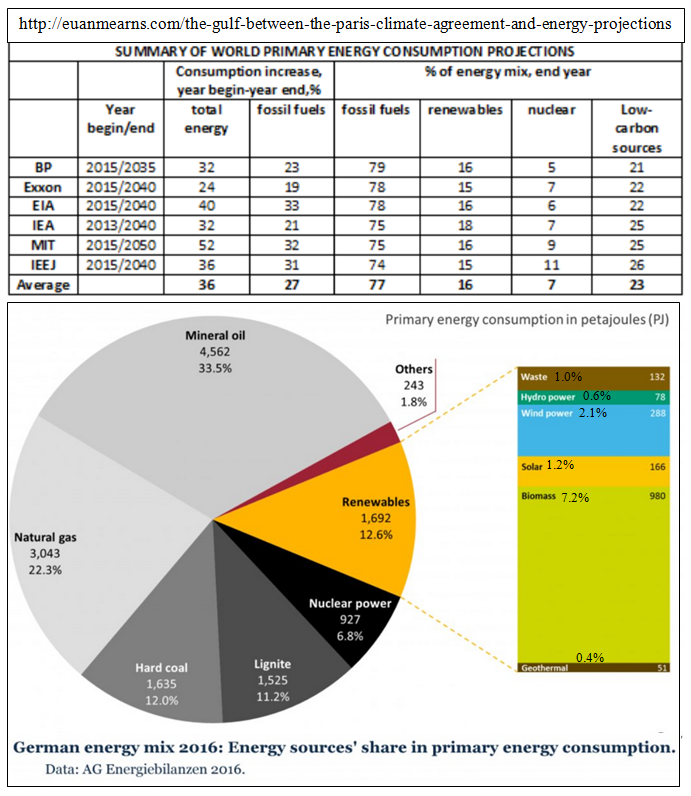 The IEA, along with many others, includes nuclear in their definition of clean energy. David has failed to define it in any article I've read. I get why he hides the definition of clean energy (so he won't have to defend nuclear). But, why would he gloss-over the definition of a DER? Distributed energy resources are small, modular, energy generation and storage technologies that provide electric capacity or energy where you need it. Typically producing less than 10 megawatts (MW) of power, DER systems can usually be sized to meet your particular needs and installed on site. DER systems may be either connected to the local electric power grid or isolated from the grid in stand-alone applications. DER technologies include wind turbines, photovoltaics (PV), fuel cells, microturbines, reciprocating engines, combustion turbines, cogeneration, and energy storage systems. Picture a future where the manufacturers of portable gas generators successfully lobby the government to force utilities to pay them retail electricity rates for their contribution. Can you imagine a 2,000 watt portable generator from Home Depot being economically competitive with a 500,000,000 watt combined cycle gas turbine power station? Economy of scale is why we fly on jet airliners with hundreds of seats instead of four seat Cessnas. It's also why residential solar PV is not competitive. Obviously, we can't continue to make utilities pay retail rates to residential solar PV owners. Subsidies, are by definition, temporary government assists to test economic waters. Net metering is defined as a subsidy on every government website I've ever seen. It's understandable that solar installers would never warn customers about the temporary nature of the subsidy, and of course government websites don't do it because, well, they're dumb bureaucracies. Because it was his interview, David got to pick the questions and more importantly, he got to frame them in a manner that represents utilities as "the man." Some envision that the changes seen today will continue unchecked. They envision a future in which centralized resources, and perhaps even transmission and major portions of distribution, will become relics of the past — fossils of the fossil fuel age. In this future, consumers meet the majority of their energy needs by producing on site, transacting for any remaining energy needs with their nearest neighbors; many defect from the grid entirely; the power system is completely upended; and the roles of energy and network suppliers, power system operators, and regulators are wholly redefined. Others claim that distributed resources are a blip on the energy radar, their adoption driven by subsidies and regulatory and market flaws that shift costs to less fortunate network users. 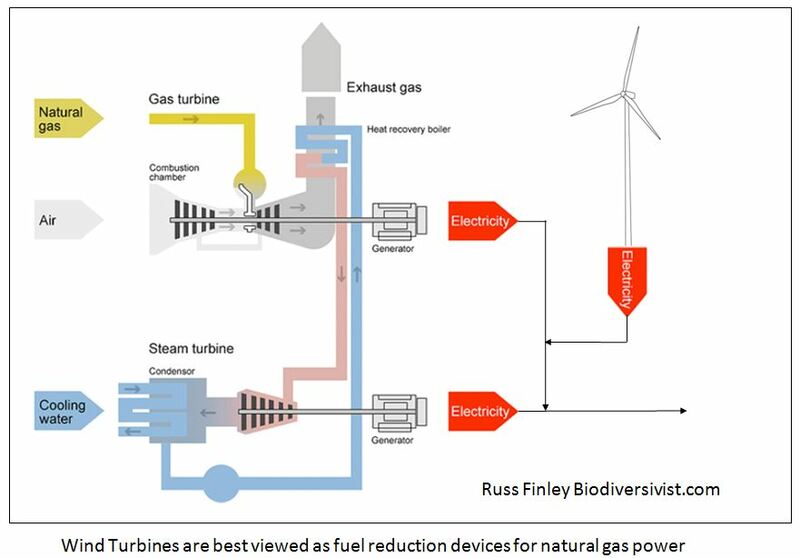 In this view, the lower carbon power systems of the future will be structured much as they are today, but will be reliant primarily on large-scale renewables, nuclear energy, and/or fossil fuels with carbon capture and storage. These viewpoints represent two ends of the spectrum, with a continuum of possible futures in the middle. They skipped a few scenarios. Some think the world should be powered entirely with nuclear. Put me in the middle, where I usually find myself, with nuclear doing most of the heavy lifting using wind and solar as fuel reduction devices for any natural gas needed to meet variable loads. See Figure 3 below. With this interview, Jenkins and Roberts have established a symbiotic relationship in that Jenkins appears to retweet most of David's articles (regardless of quality of content) and has now been rewarded with an article that features his work. I suspect that David sees Jenkins as an ally of sorts because he's studying ways to change how utilities (perceived by Roberts as the evil empire at war with consumers) do business (in an effort to keep wind and solar integration costs down). But if you read between the lines of Jenkins' responses, they're measured and are careful not to bite the hand feeding him the questions. One thing we want to note is that this report is intended to be about the utility of the future, 10 years from now or so, not tomorrow morning. So we’re expecting a lot of additional change and particularly improvements in the cost of ICT. What makes this an important conversation, now or maybe in 10 years, is if somebody defects from the grid entirely, to avoid their share of sunk costs or policy costs, those costs don’t go away. They get shifted to someone else — other ratepayers or utility shareholders. It’s important we think through those implications carefully. Translation: This is an ivory tower study mulling over ways to make the integration of more wind and solar less expensive, with better gizmos that may be available ten years from today. For example, there’s a lot of focus right now on energy storage, which is becoming a more affordable and potentially valuable part of the grid, and that’s leading to specific policy supports for energy storage. But a lot of the services that energy storage provides could also be provided by demand response or flexible demand. Translation: Home batteries are likely never going to be cheap enough to catch on in the foreseeable future. Jenkins is more interested in the potential to incentivize consumers by providing them with the gizmos needed to use more energy at times of low energy prices and to sell it in times of high prices (west facing panels). But we don’t send those price signals on to the demand side, and that means we’re probably overbuilding the amount of [wind and solar] generation we need, or making costly decisions about transmission expansions [for wind and solar]. We’re not unlocking the flexibility in demand and distributed resources that we could if we had better price signals. That would lead to smarter decisions by everyone and lower costs for electricity. 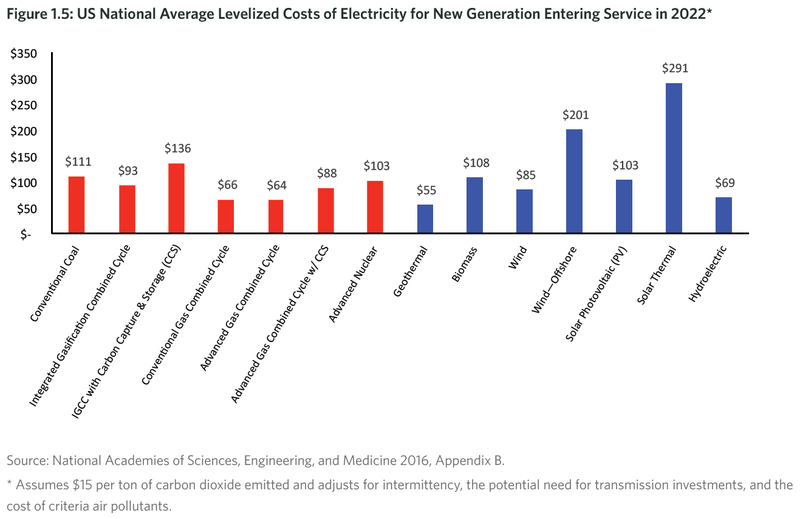 The basic regulatory principle is that we want to ensure that electricity service doesn’t cost any more [wind and solar] than it should — particularly, any more than it would if the utility were acting like a competitive business. Lower costs for ratepayers doesn’t just mean lower costs today, it also means lower costs [for wind and solar] over time. If we don’t invest in learning and innovation, ratepayers are going to pay more in the long term [for wind and solar] than they should for their energy. Translation; he's looking for ways to prevent escalating costs from the future use of wind and solar, like putting your solar panels on the west side instead of the south because peak prices paid are associated with peak loads that occur in the late afternoon as the sun is setting in the west, which he mentions twice in this interview. Bracketed [ ] comments and bold font emphasis are mine. So it might actually be more beneficial to put your panels facing west, so they produce more power in the afternoon, than to put them facing south, so they produce more kilowatt hours in total. But with flat volumetric rates, we have no way of knowing that, or incentive to do so. But if I’m trying to decide whether to buy a smart thermostat and use it to control my AC load, or when to charge my electric vehicle, or whether it’s worth it to me to put solar panels on my house facing south, where they produce the most power, or facing west, where they produce power later in the afternoon — I don’t have the signals to guide those investments in an efficient way, unless I know whether it’s more valuable for me to generate power at a given time or given location. Jenkins is doing some good work. I expect we will be hearing a lot more from him in the future. It's to David's credit that he interviewed a highly credible source like Jenkins instead of any number of the antinuclear ideologues he has to pick from. Follow this link to other articles where I do a form of peer review for some of David's articles because VOX isn't interested in promoting public discussion of their content under that content in comment fields.